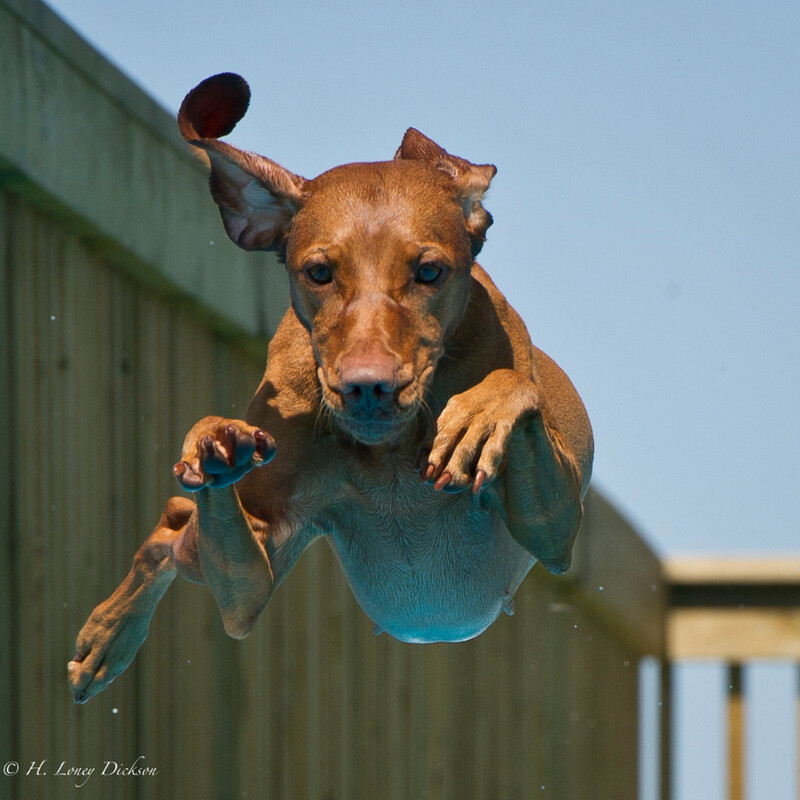 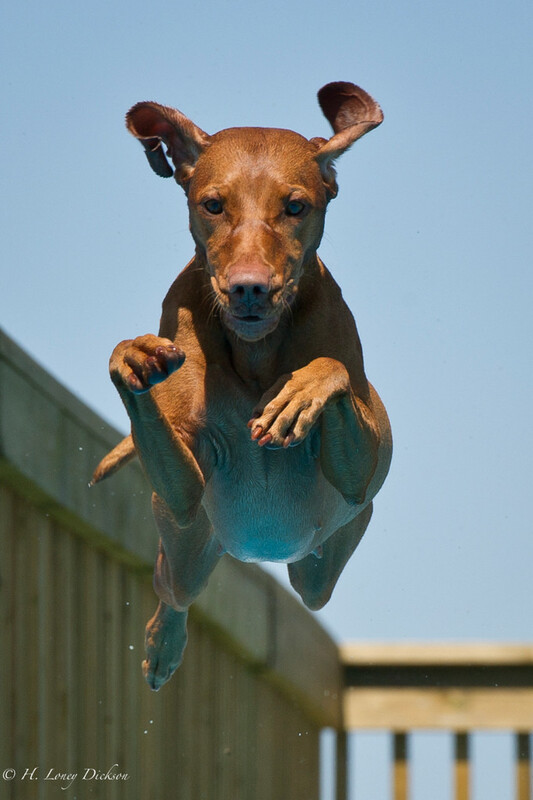 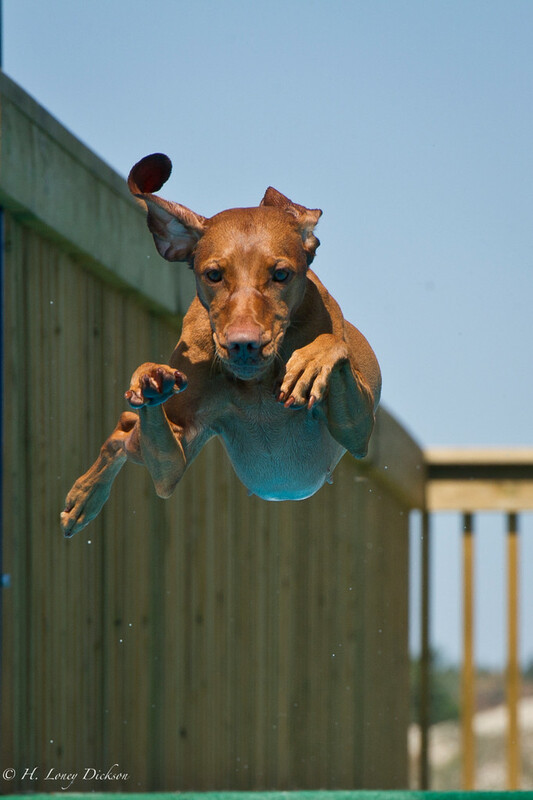 Dock diving is a sport where your dog must jump from a dock in a pool. 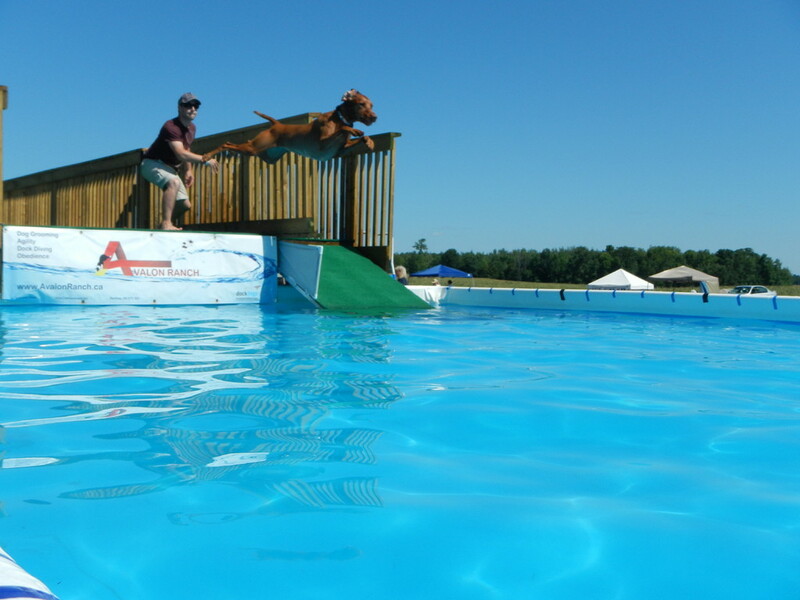 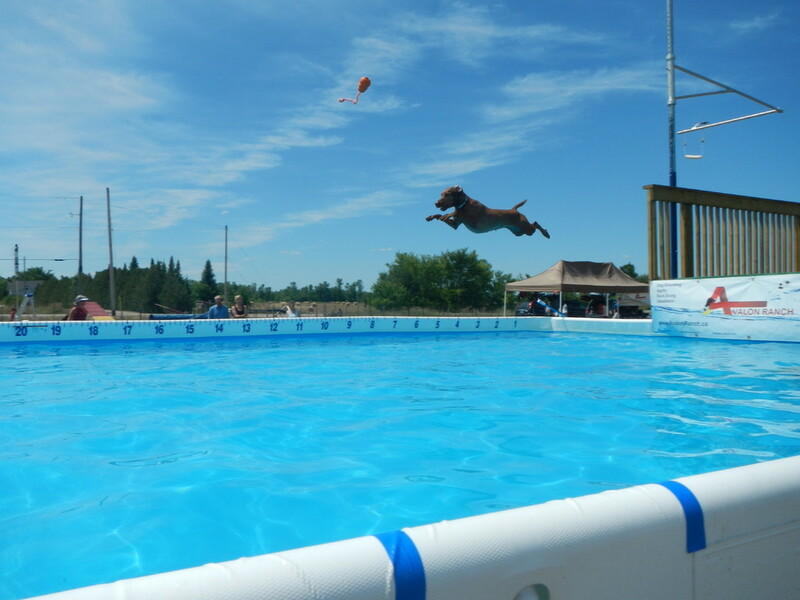 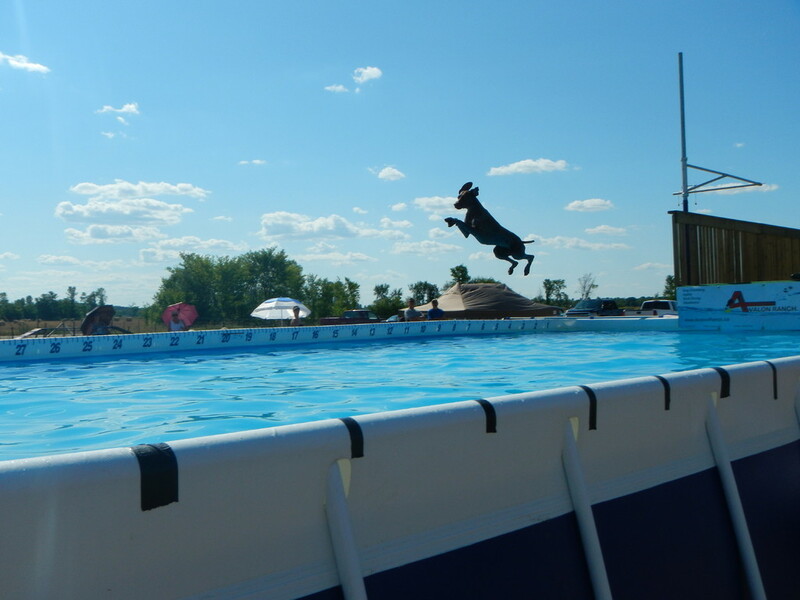 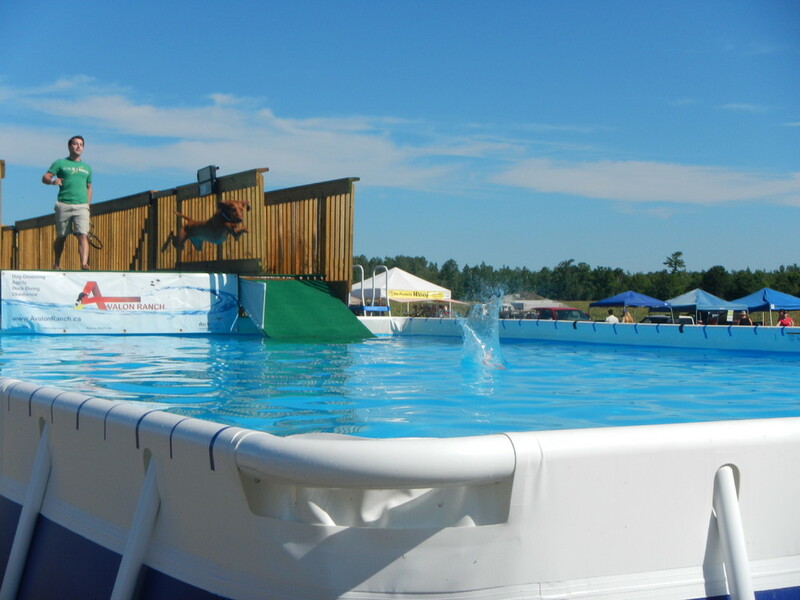 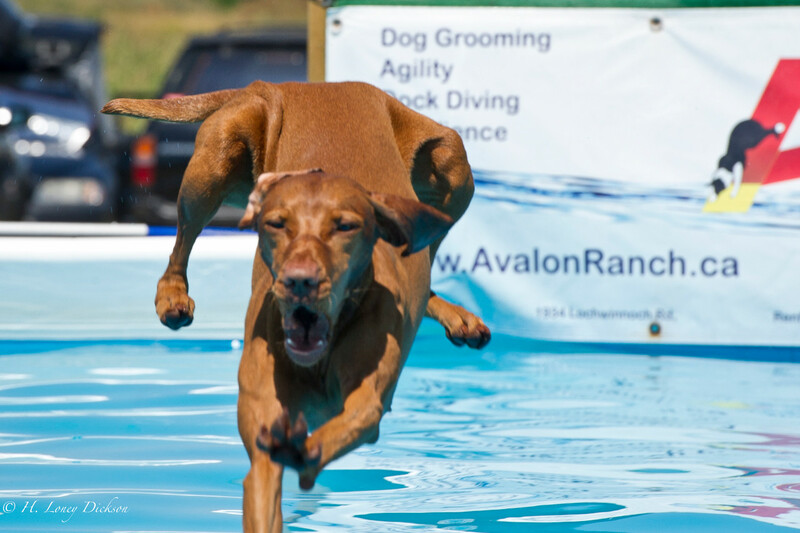 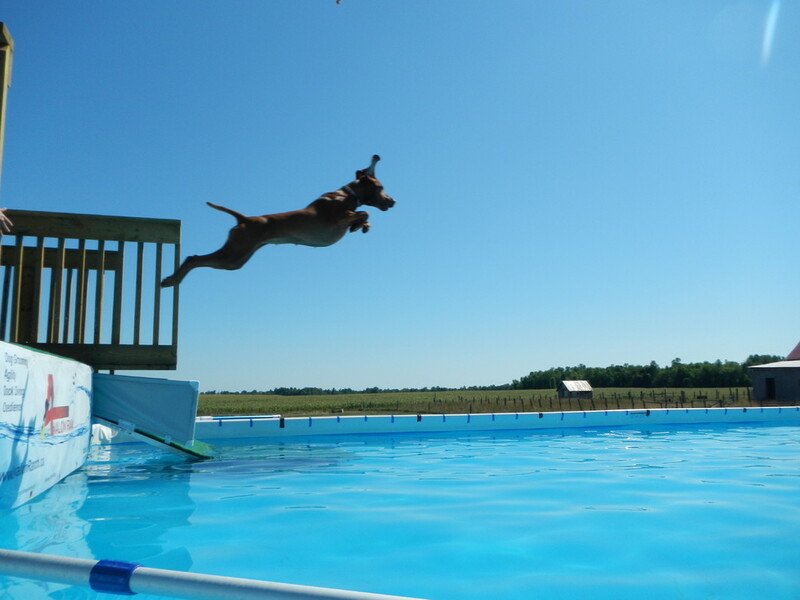 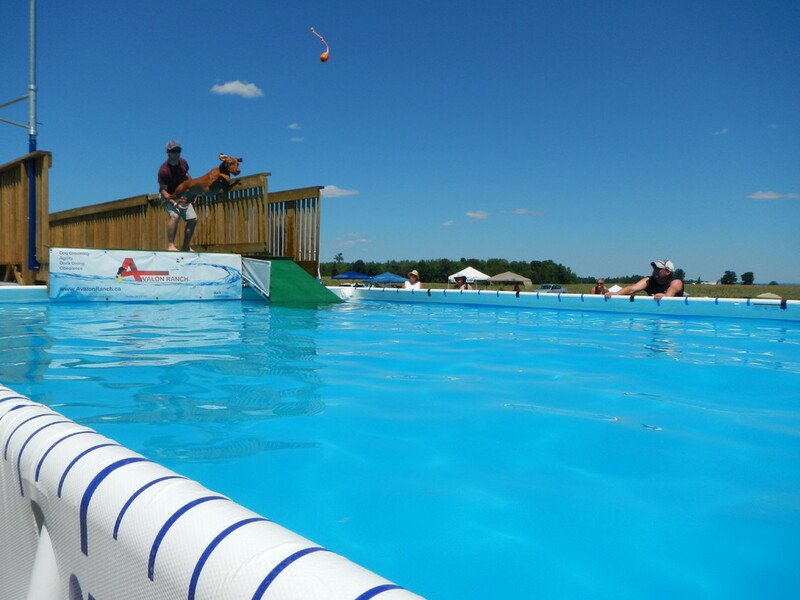 From a 40’ long dock, the dog launches himself in a 40’ or 50’ pool. 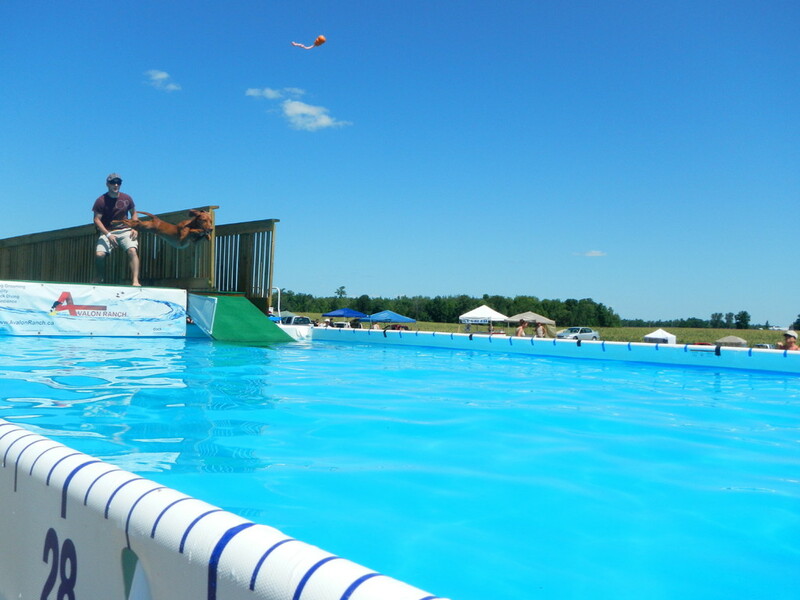 This activity is divided in four types of trials. 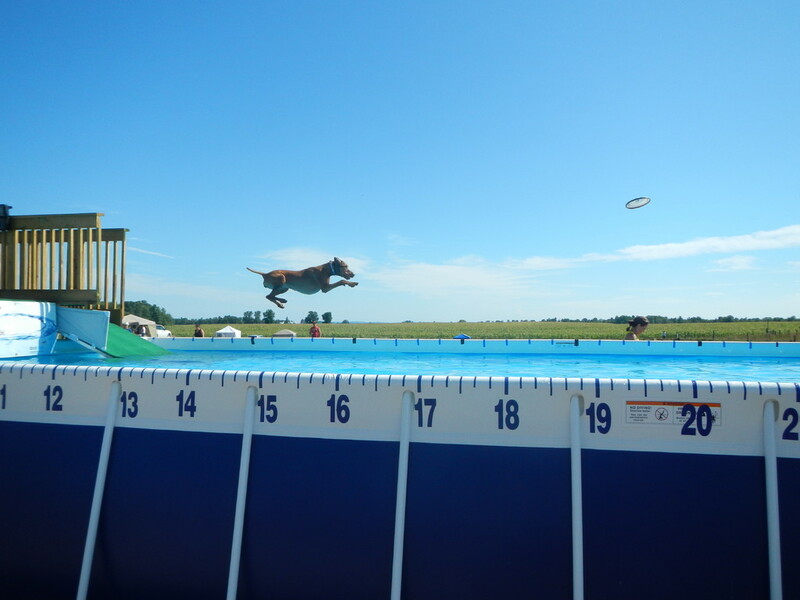 Big Air: The goal of this is to achieve the longest jump. 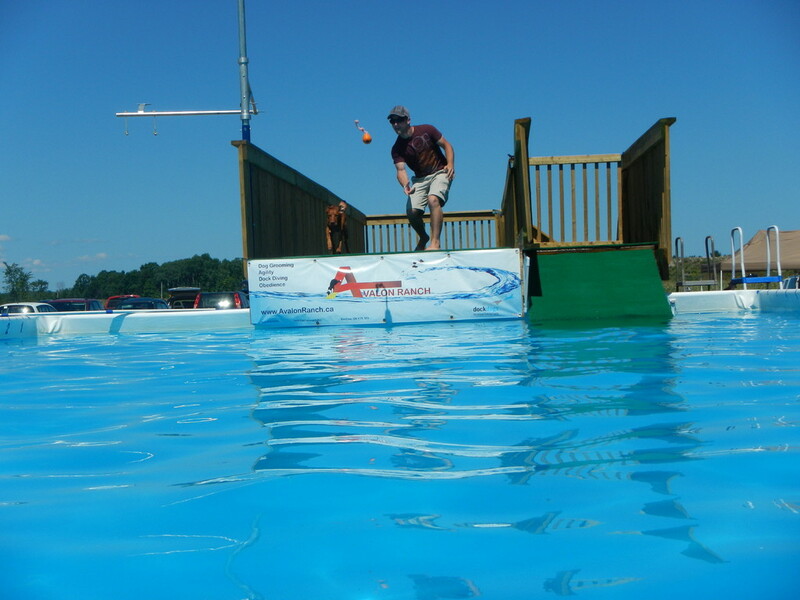 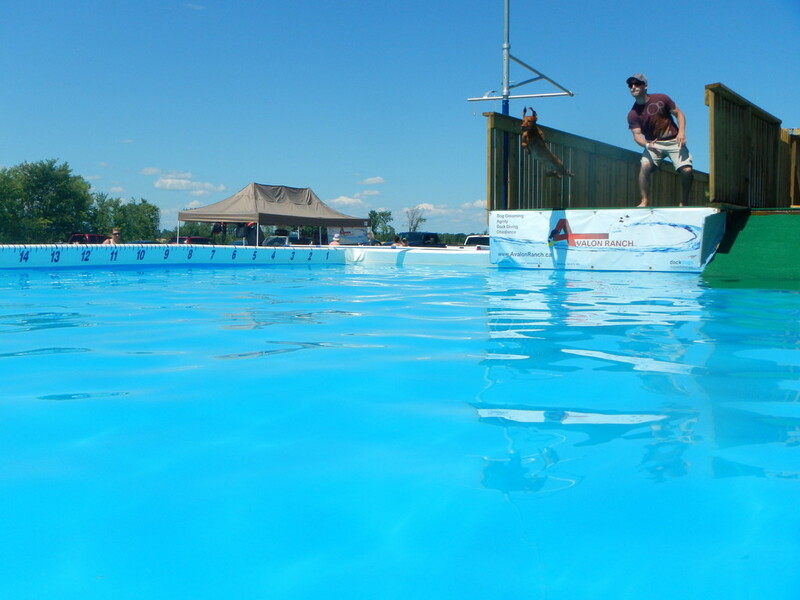 The dog is set at the 40’ mark on the dock and the handler encourages the dog to jump by throwing a toy in the pool. 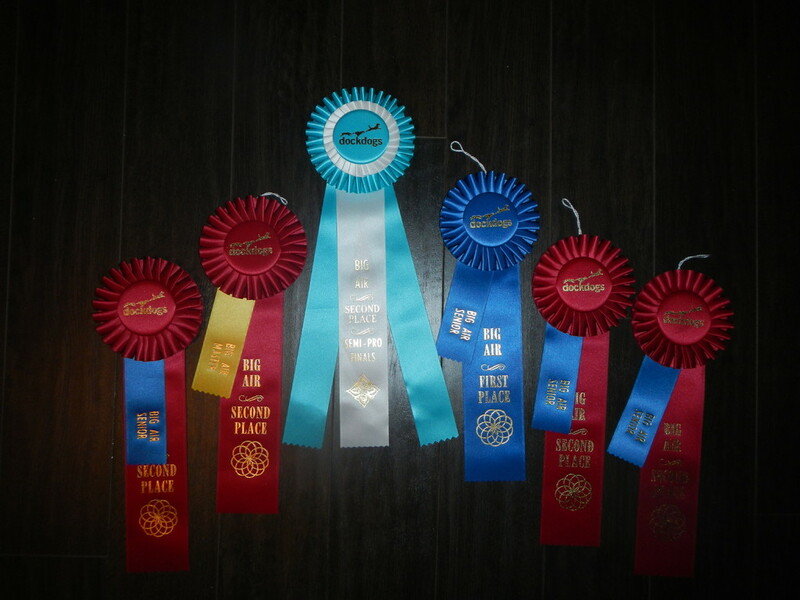 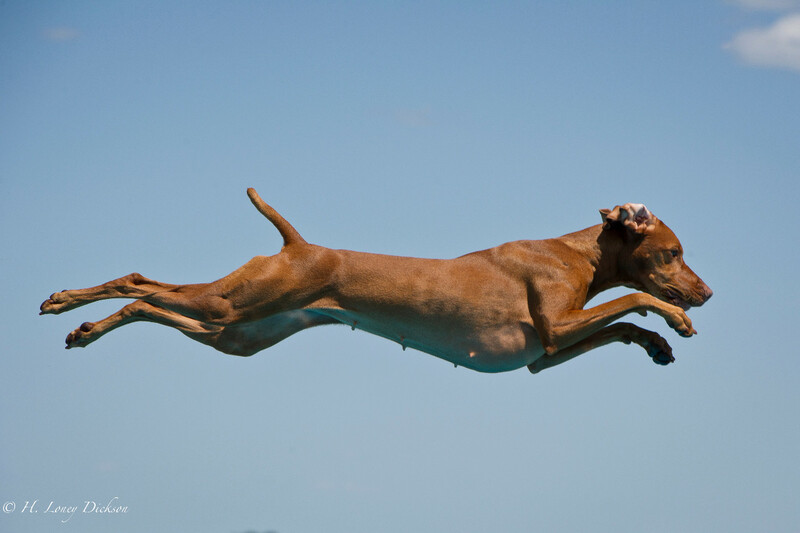 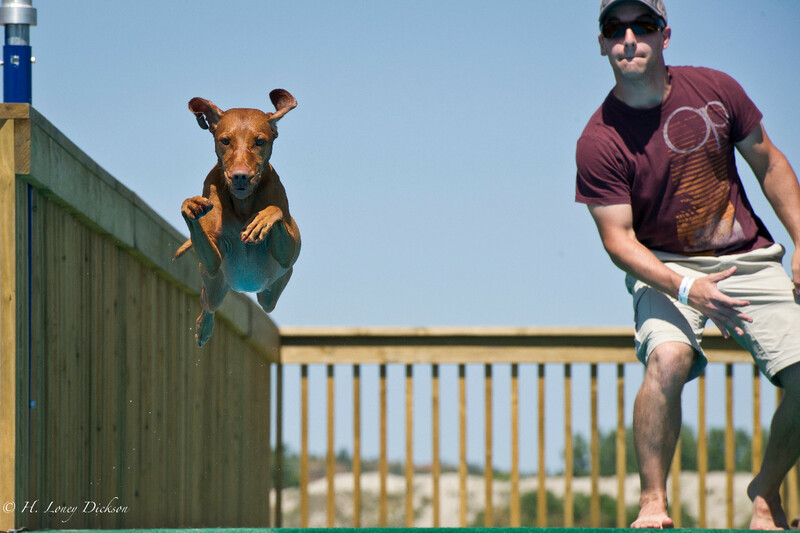 The dog with le longest jump in his category wins. 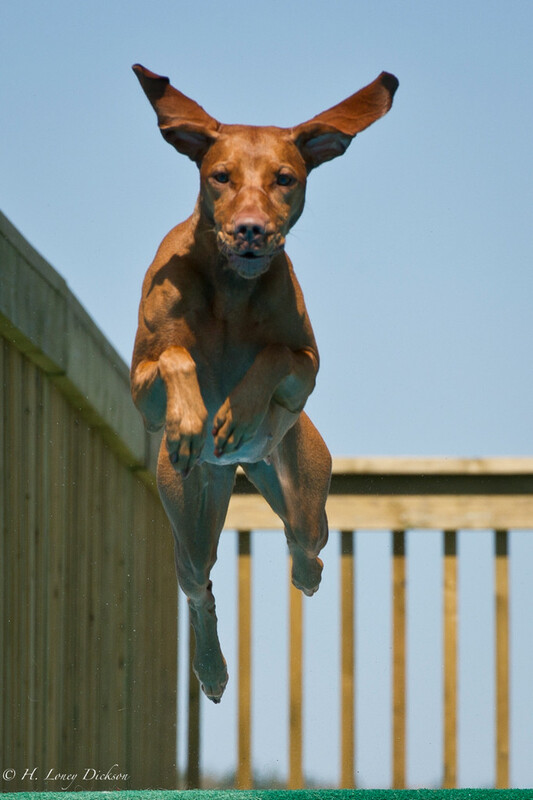 Extreme Vertical: This one is a high jump. 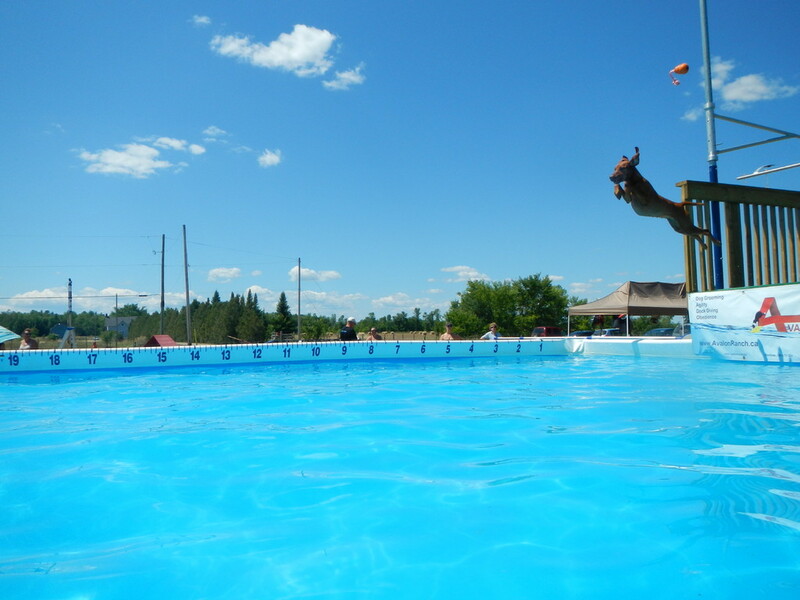 A toy is hanged onto bar extending 8’ over the water and starting at a height of 5’4” above the dock. 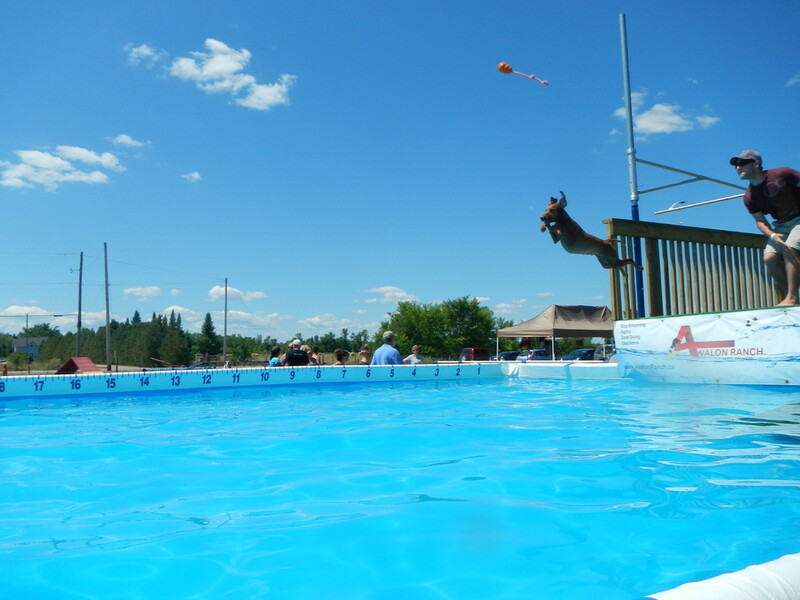 The dog is placed at the 20’ mark on the dock and launched himself to grab the toy. 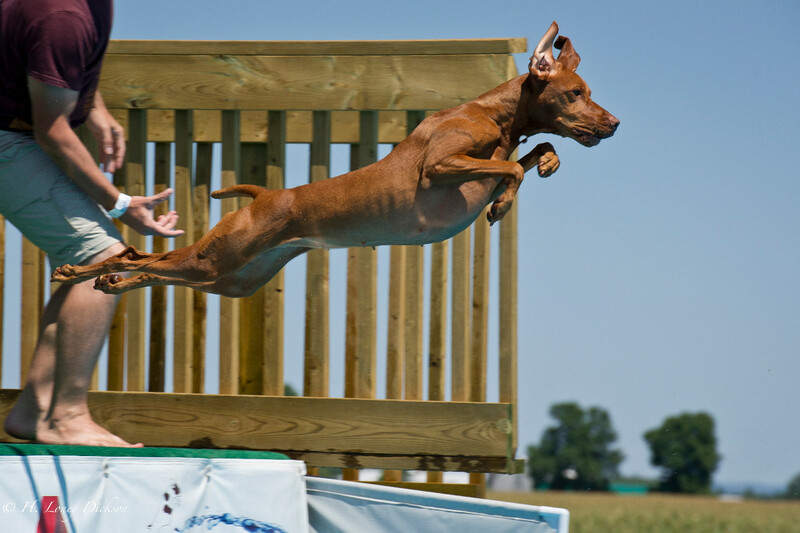 For every successful jump, the bar is raised by 2’’. 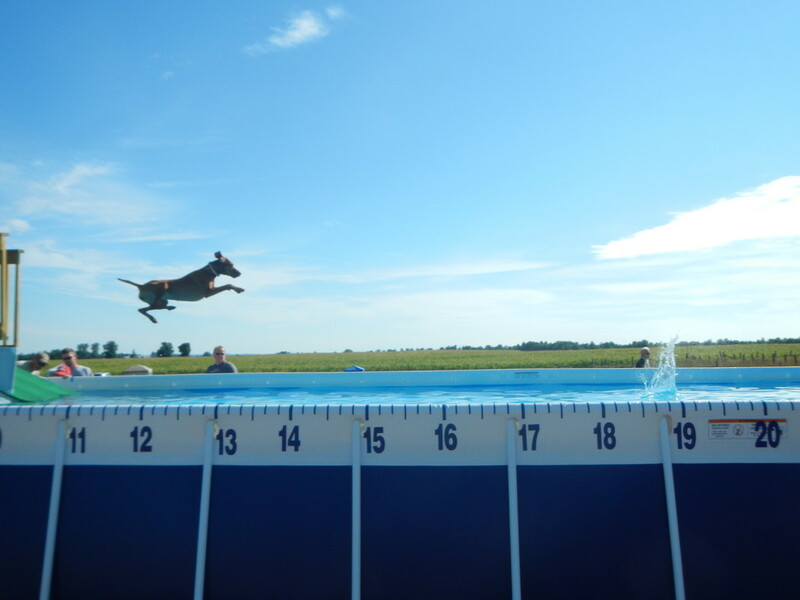 The dog with the highest jump within its category wins the challenge. 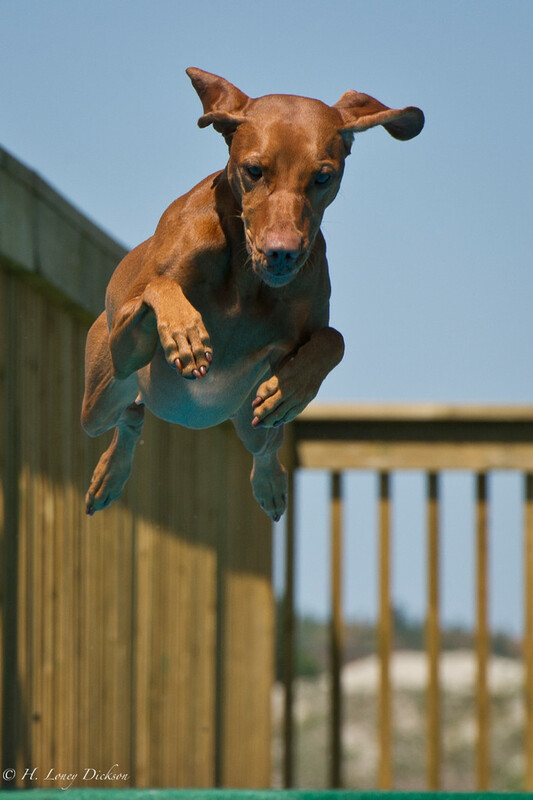 Speed Retrieve: A bumper toy is hanged at the end of the pool. 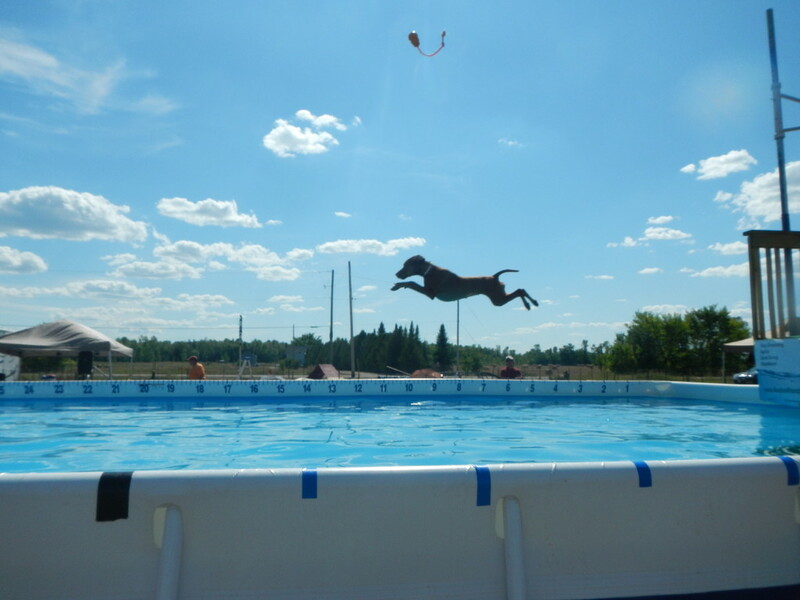 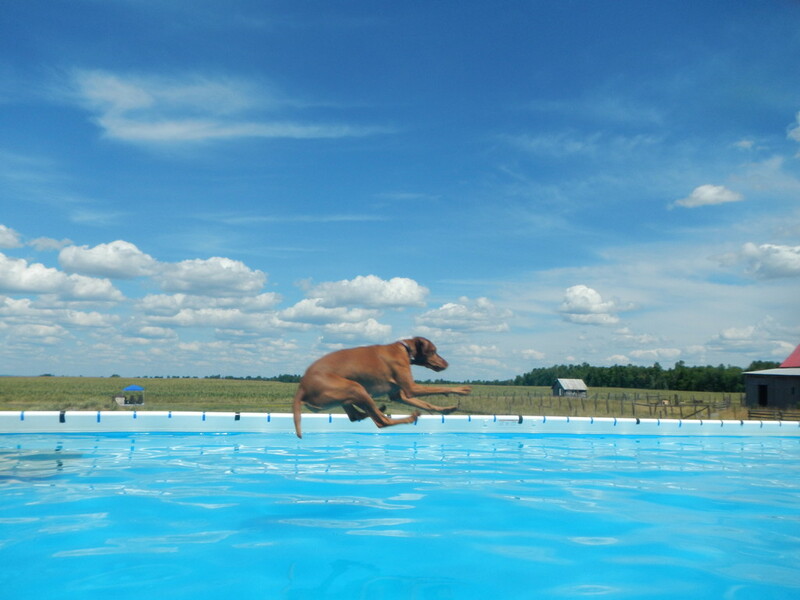 The dog is set at the 20’ mark and launches himself in the pool. 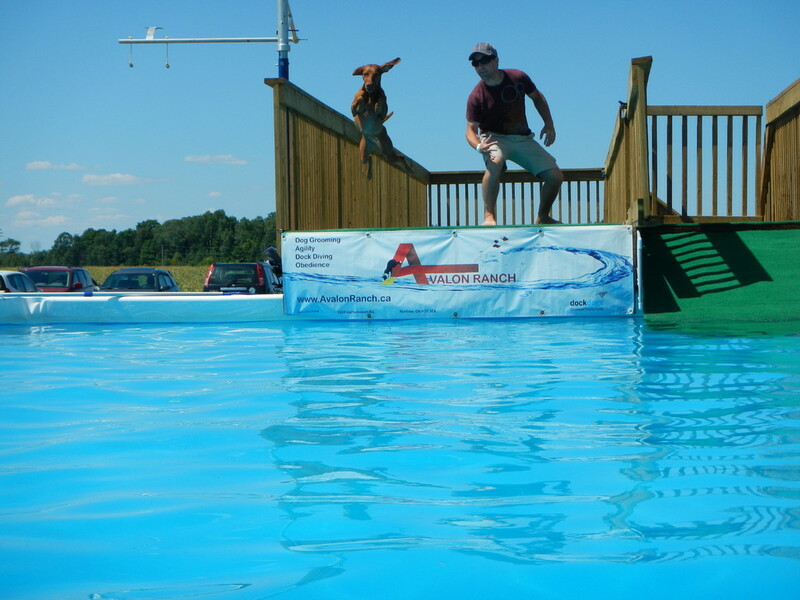 He then must swim to the bumper to remove it from the stand. 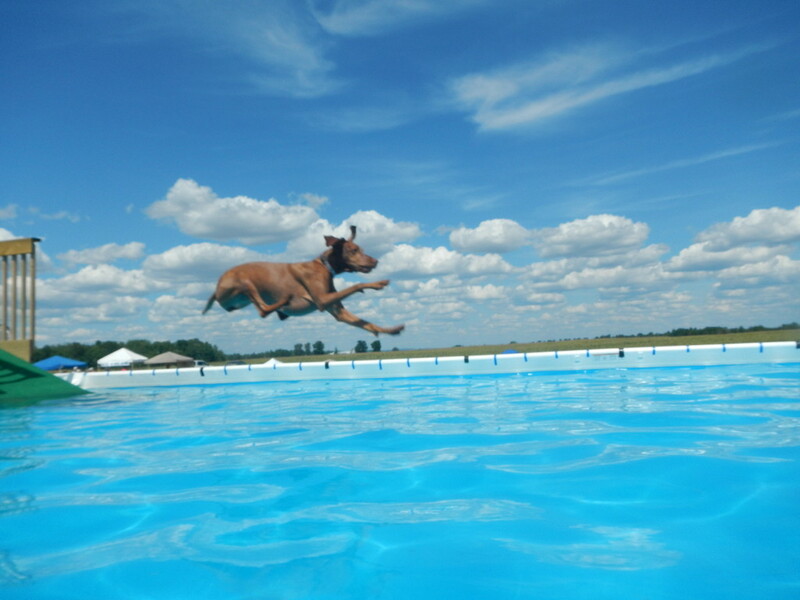 The time then stops. 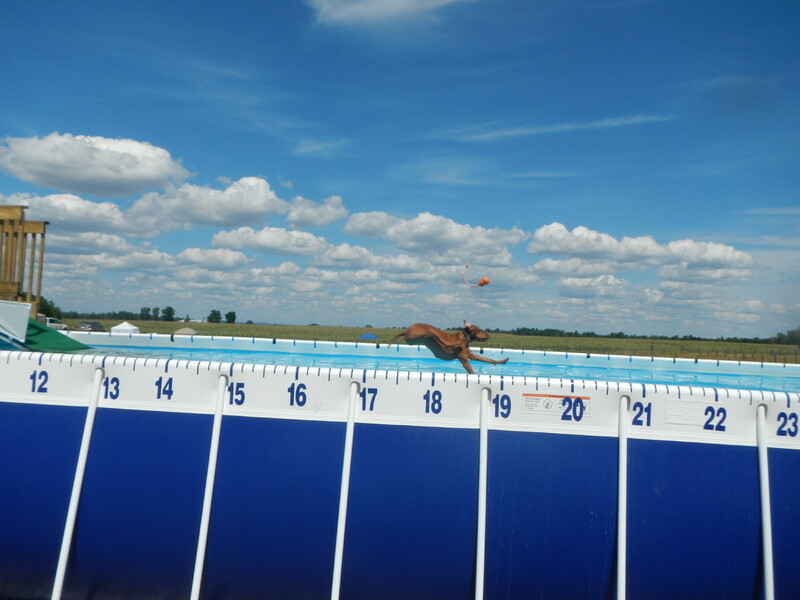 The dog with the fastest time is the winner. 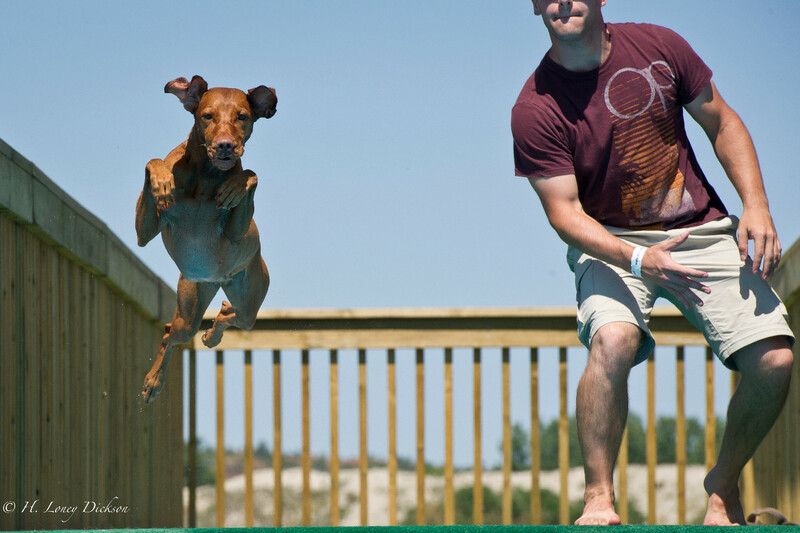 Iron Dog: For this one, the dog must participate in all three previous events. 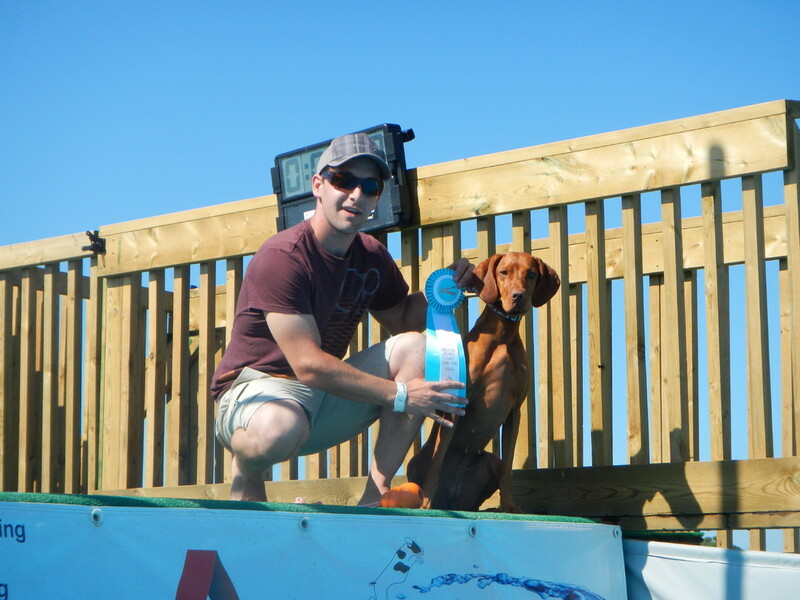 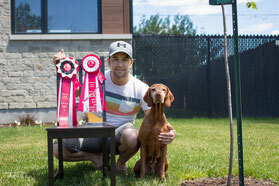 The dog with the best overall score wins the Iron Dog Challenge.